When talking about indoor air quality, we are discussing the effects that the air quality in our homes and businesses has on the people inside. 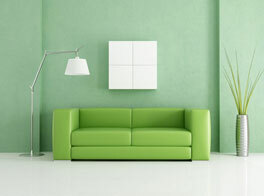 Studies are showing more and more that indoor air quality has a dramatic effect on your health. 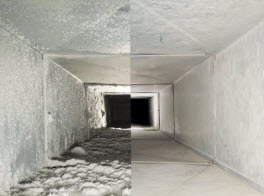 A reputable company like Sterling Environmental Air Duct Cleaning is here to discuss further, what your indoor air quality can mean for your health not only now, but years down the road. You may not realize this, but the air in your home is often more polluted than that of a large urban city. When your body is exposed to these harmful pollutants, it can have adverse effects on your health. When the air quality in your home or business is poor, you may notice that you suffer from congestion, sneezing, dizziness, irritation in your eyes and throat and more. Most of these symptoms are easily treated once the pollutants have been removed from the space. These symptoms are often confused with the common cold since they are so similar, but shouldn’t be ignored. Sometimes, when you are exposed to poor air quality, you don’t experience the effects until much later. This can mean even years after exposure. The effects include respiratory diseases, some cancers and heart disease. This is why it is so important to work to improve the air quality in your home or business whether you are experiencing symptoms or not. 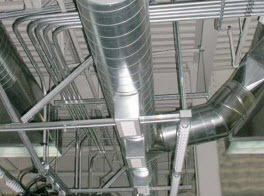 Sterling Environmental Air Duct Cleaning has experts on indoor air quality and will work diligently to improve the air quality in your home or business dramatically. 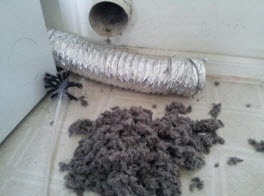 Contact us to schedule your air duct cleaning and dryer vent cleaning today.